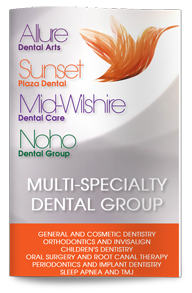 Our team of dentists at Sunset Plaza Dental has been working together in our multi-specialty practice for more than a decade. We strive to maintain a positive, welcoming environment and are pleased to be able to offer you the most state-of-the-art dental procedures available today. We accept a variety of payment methods and insurance plans, and as your United Concordia dental insurance dentist in West Hollywood, Dr. Ghasri, is committed to ensuring your oral health care needs are fully addressed at a price you can afford. Our team of specialists is experienced in the fields of periodontics, endodontics, cosmetic dentistry, orthodontics, routine and general dentistry, implant dentistry, sedation dentistry, pediatric dentistry, and emergency dentistry. We combine compassionate care, artistic vision, and precise treatments that go straight to the heart of the problem in order to get the best results. Our goal is to ensure you enjoy good oral health along with the smile you have always wanted. As your West Hollywood United Concordia insurance dentist, Dr. Ghasri is committed to educating patients on good oral hygiene and health care practices that can provide them with a lifetime of good dental health. We offer comprehensive dental exams and cleanings at every checkup and discuss treatment options, such as white fillings or root canal therapies, with our patients so that they can determine their best options. We will also discuss your options for restorative dentistry if you are missing teeth. Many American adults are missing at least one tooth, often due to decay, gum disease, or trauma. 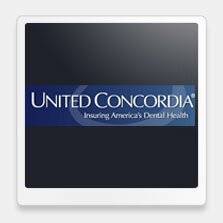 As your United Concordia dental insurance provider in West Hollywood, our dentist will seek to restore both function and aesthetics to your smile through the use of dental implants and crowns, bridges, and partial or full dentures. The health of your smile is our primary concern, but we also understand that you may be naturally concerned about the appearance of your smile. That’s why your West Hollywood United Concordia dental insurance provider, Dr. Ghasri, offers cosmetic dentistry solutions that include Invisalign aligners, porcelain veneers and Lumineers, and Zoom teeth whitening. Contact our dentist in West Hollywood today to learn more about your options or to schedule your appointment.